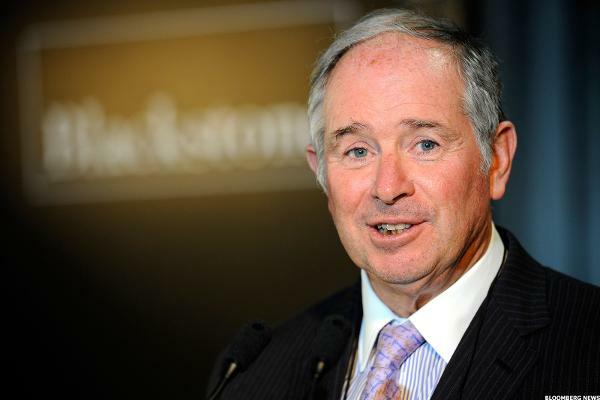 Blackstone (NYSE: BX) has completed its previously announced offering of €600 million of 1. NEW YORK, April 3, 2019 /PRNewswire/ -- Blackstone Mortgage Trust, Inc. (NYSE: BXMT) today announced that it will publish its first quarter 2019 earnings presentation on its website at www. Blackstone (NYSE: BX) priced its offering of €600 million of 1.500% senior notes due 2029 of Blackstone Holdings Finance Co.
Blackstone (NYSE: BX) today announced its intention to offer, subject to market and other conditions, euro-denominated senior notes of Blackstone Holdings Finance Co.
Blackstone (NYSE: BX) today announced that its global credit platform, GSO Capital Partners (GSO), has hired Bob Carroll as a Managing Director and Head of Distressed Trading. SERVPRO and Blackstone (NYSE:BX) announced today that private equity funds managed by Blackstone ("Blackstone") have recapitalized SERVPRO, a leading franchisor of residential and commercial property damage restoration services. Blackstone (NYSE:BX) announced today that it will host its first quarter 2019 investor conference call on Thursday, April 18, 2019 at 9:00 a. NEW YORK, March 15, 2019 /PRNewswire/ -- Blackstone Mortgage Trust, Inc. (NYSE: BXMT) today declared a dividend of $0. Blackstone (NYSE:BX) today announced that its global credit platform, GSO Capital Partners (GSO), is further expanding its North American origination effort to include two new office locations in San Francisco and Toronto. Blackstone (NYSE:BX) today announced that funds affiliated with Blackstone Infrastructure Partners (BIP), have made a growth-oriented investment in Carrix, the largest marine terminal operator in the U.
SAN FRANCISCO, March 6, 2019 /PRNewswire/ -- GI Partners, a leading middle-market alternative asset manager, announced today that funds affiliated with Blackstone's (NYSE: BX) Strategic Capital Group has acquired a minority stake in the firm. GSO Capital Partners LP ("GSO"), the credit platform of Blackstone (NYSE: BX), is pleased to announce the formation of Sequel Energy Group II LLC ("Sequel II" or the "Company"), a private, Denver based oil and gas company. Blackstone Life Sciences today announced the launch of Anthos Therapeutics Inc. ("Anthos"), a new biopharmaceutical company focused on advancing next-generation targeted therapies for high-risk cardiovascular patients. TITUS, a leading provider of data protection solutions and a Blackstone (NYSE:BX) portfolio company, today announced that Mike Kuehn will join the senior leadership team as the Chief Revenue Officer (CRO).